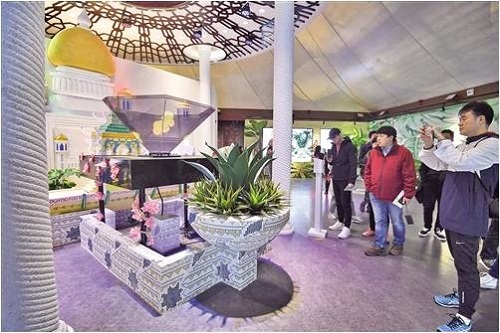 It was recently learned from the Management Center of Nanning Garden Expo Park that the Landscape Gardening and Characteristic Culture Exhibition of Ten ASEAN Member States themed with “Blooming of Flowers” is being launched at the China-ASEAN Loggia. Citizens can enjoy the garden art and special culture of ASEAN countries at once. The exhibition comprehensively displays the garden art of ASEAN countries by making full use of the modern exhibition methods, adhering to garden language-oriented and people-oriented concepts, and integrating science, knowledge and artistry, so as to meet the needs of all walks of life and to promote exchanges on gardening and cultural art between China and ASEAN countries.